Hot Club - Hot Club has been in business for over 30 years! Hot Club is considered an Institution in the small city of Providence, RI. We have a great spot right on the waterfront overlooking the city and the Hurricane Barrier. Revival Brewing Co - Revival is committed to creating wonderful, distinctive craft beers that appeal to everyone, from beer aficionados to those just beginning to experience the world of craft brews, and serving our local community is central to how we operate. Local salon in Riverside, RI taking care of your hair. They keep up with all of the latest styles and trends in hair. Stop by and let them take care of you! Borealis Coffee Company - Borealis Coffee Company connects people with great coffee. We are a small-batch, artisanal coffee roaster in Riverside, Rhode Island and we are passionate about coffee. Coffee is an equal opportunity beverage; you don’t have to be a Master Q Grader (the sommelier or professional taster of coffee) to savor the flavors. We want to bridge the gap between diner coffee and craft brews, between coffee snobs and everyday drinkers, because we believe coffee is an experience worth sharing. Brass Monkey- Brass Monkey is a cityside neighborhood restaurant and bar; the type of place where anyone feels welcome and at home. 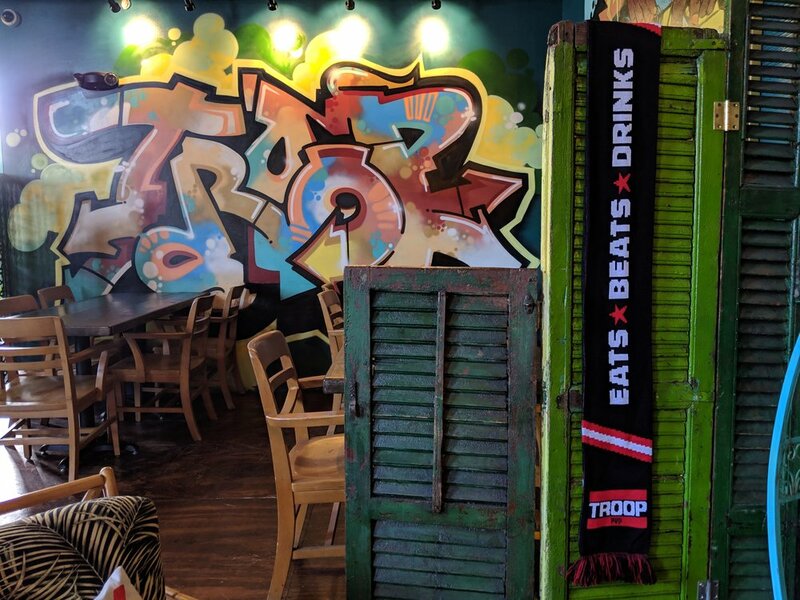 It's a place where you can grab good bites with your friends, make new friends, hang and watch the game, unwind after work…you get the hint. East Providence Yacht Club - A special place we consider our home base after every home game. The Rogues share many memories and plenty more to be created at the Yacht Club. Summer time is perfect to take advantage of their water front deck while enjoying a summer brew. Any time is a great time to stop by with the Rogues after game day. 10 Rocks Tapas Bar & Restaurant- If you are looking for something new and exciting, take your friends and colleagues out for dinner at 10 Rocks Tapas Bar and Restaurant in Pawtucket, RI. Our fine dining restaurant offers creative tapas dishes, fresh seafood, and many specialty foods that you cannot find anywhere else.